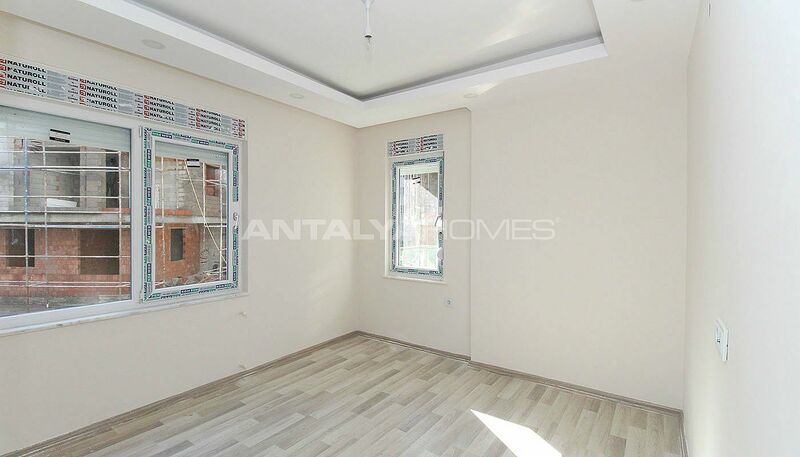 Elegant flats offer tranquil and quality life intertwined with the nature in Konyaaltı, Sarısu Neighborhood. 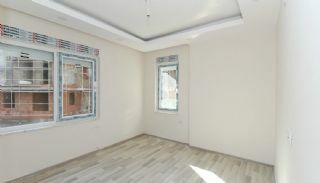 This region the fastest developing and high-value area in Antalya. Konyaaltı hosts both sea and ski center. There are also a wide range of social amenities from quality educational to health amenities. Konyaaltı always draws attention with its the famous beaches, various entertainment areas and night life. The area is the best investment area for real estate buyers. Antalya flats is surrounded by daily amenities that you need. Branded flats are 1 km to Sarısu Women’s Beach, 2 km to Konyaaltı Beach, 500 mt to shopping areas, 29 km to the International Antalya Airport and 10 km to the city center. 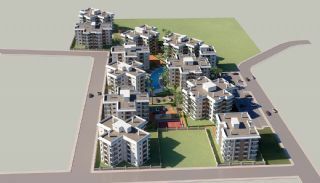 The residential complex is built into the side of a mountain by one of the famous construction companies of Antalya. 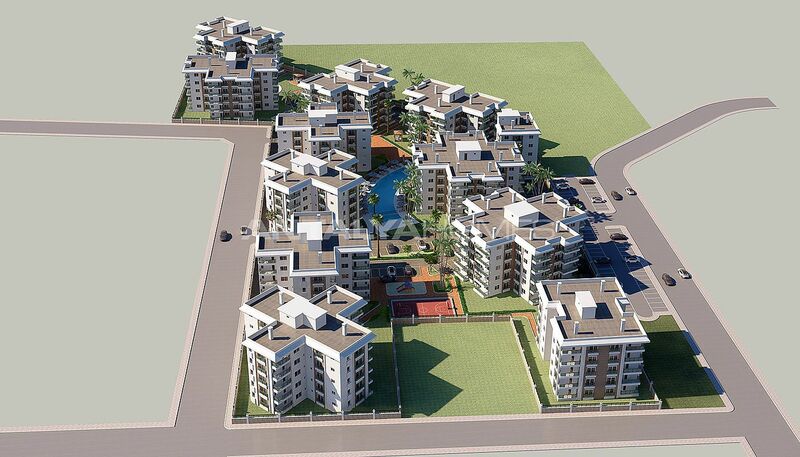 The huge complex consists of 12 blocks and 304 flats on 17.200 m² land area. There are many common-use facilities and quality features for your luxury life in here. 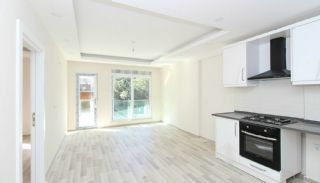 The complex has 2 swimming pools, basketball court, fully equipped fitness center, children’s playgrounds, car parking area for each apartment, resting areas with camellia & pergolas, 24/7 security camera system & security, beautifully designed garden, water tank and automatic irrigation system. 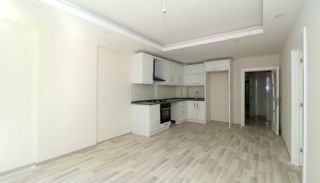 2 bedroom flats are 75-95 m² with a living room, an open-plan kitchen, a bathroom, a French balcony and a balcony. 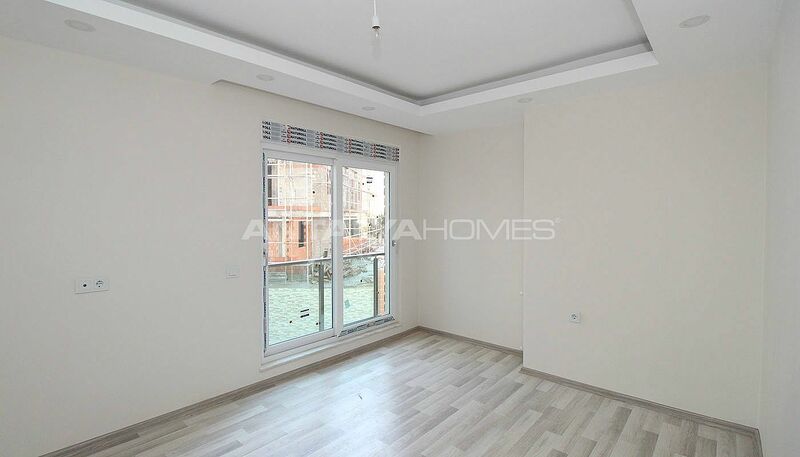 Flats in Antalya Konyaaltı are designed with technological, elegant and practical architectural solutions to the finest detail to benefit from your maximum living space. 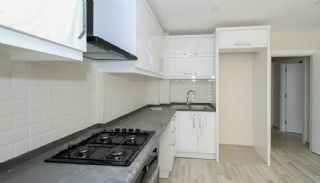 The flats have a cloakroom, steel door, video intercom, kitchen appliances, oven, hob and cooker hood package, suspended ceiling, hidden lighting in the living rooms, heat, sound and water insulation, barbeque area in balcony, internet infrastructure, satellite TV system, dressing rooms, first-class bathroom furniture & shower cabin, smart blinds, air conditioning infrastrusture.